The past few months we have been featuring memorabilia from World Wide Pictures, a film production and distribution company of the Billy Graham Evangelistic Association established in 1951. 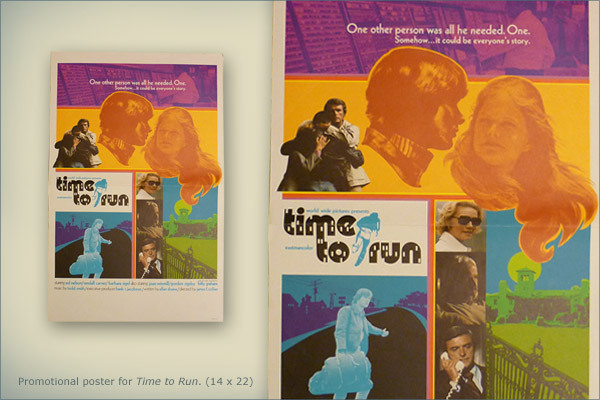 This month we’re featuring Time to Run. This film was released in 1972. The movie highlights a powerful family drama as a son becomes a runaway after conflict with his father. The cast included Ed Nelson, Randall Carver, and Barbara Sigel. 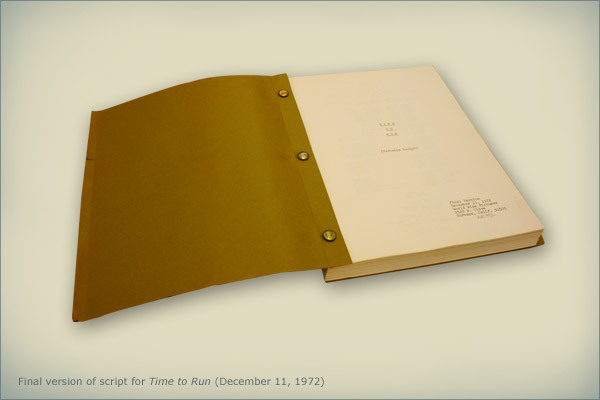 Time to Run was produced as an evangelistic tool, shown in theaters nationwide for free, and followed by altar calls and evangelistic follow-up from the Billy Graham Evangelistic Association. During its run over 400,000 people made a first-time commitment to Christ. View some of the promotional material that helped make Time to Run a success. I accepted Jesus as my Savior at this movie when it was shown in Lynchburg Virginia in October, 1973. It will always have a special place in my heart. Thank you Billy Graham. I became a christian because of this movie I saw it as a teenager when our pastor took a bunch of us to see it. I am now a minister/Chaplain at the Monte Vista Veterans nursing Home in Monte Vista Colorado. I accepted Jesus as my savior because of this movie and am now a pastor. Thank you Billy Graham and all the people who made this film happen, and all the prayer behind it.